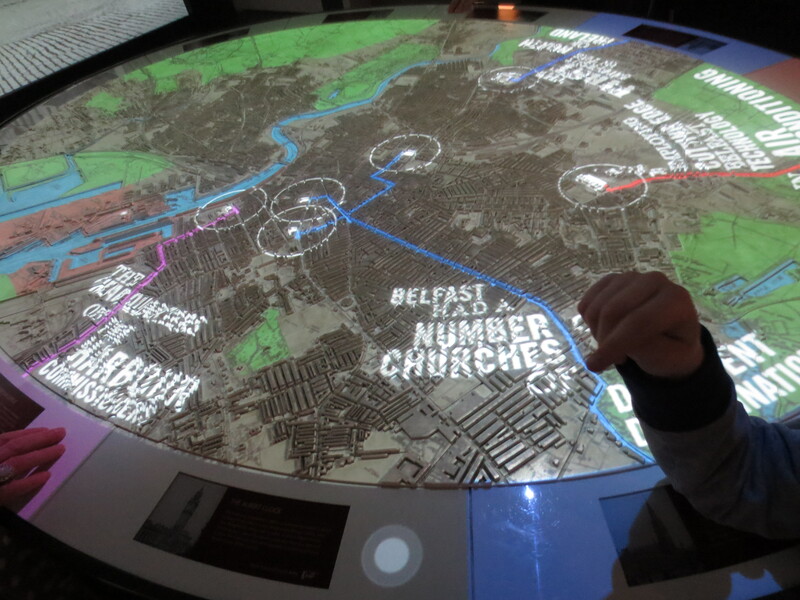 We’re regular visitors to Belfast to see Grandad but haven’t really explored the city or its sights much, so over Easter we decided to address this. 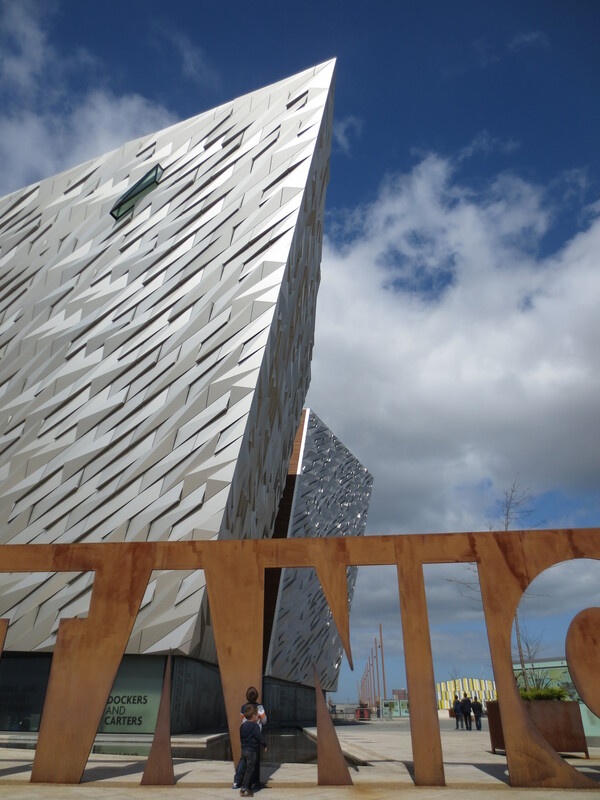 Titanic Belfast was top of the list of sights to check out. (OK, I wrote the list, but that’s my prerogative). 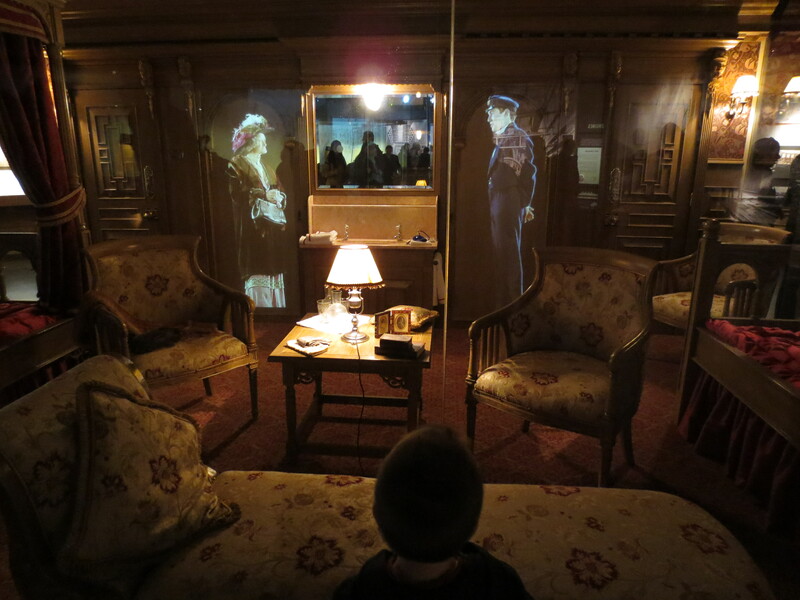 I wasn’t sure whether Titanic would be suitable for the boys, but I was determined to see it, and we travel en famille so they were going whether they liked it or not. When we arrived in Belfast, we were surprised that the Titanic Quarter wasn’t better signposted when coming from Dublin. Luckily we are regular visitors to Belfast so we had some idea how to get to the general area (there was just a bit of “look there it is, over there, where’s the road to get to there?”) The building itself and its location are stunning. So impressive, a bright silver building, modern, iconic. I could look at it all day. We arrived at lunchtime and parked in the carpark underneath (at an extra cost) and decided to eat at the café at the top of the escalator when we arrived. We got the boys kids’ lunchboxes which had a ham bap, a fruit juice and a big cookie so they were delighted with the treats and I was happy that they were recharging before we tackled the exhibits. 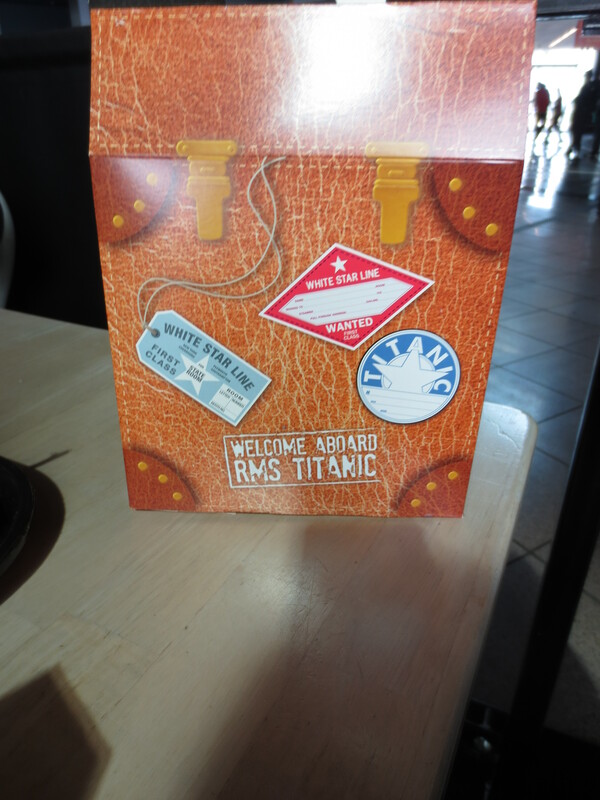 I loved the packaging for the kids’ meal- in the shape of a trunk. 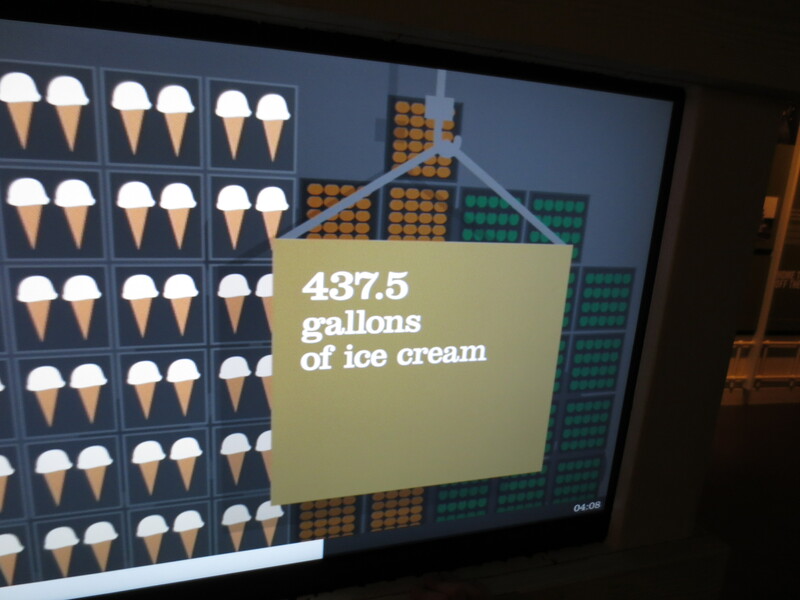 We decided to run the sugar out of the boys before tackling the exhibits so we went outside for a look around. The Titanic Quarter is being redeveloped so there’s not a whole lot happening apart from the Titanic Exhibition and the Nomadic alongside it. That means that you have wide open space, and on the day we were there lovely blue skies so the boys hopped and skipped around outside. 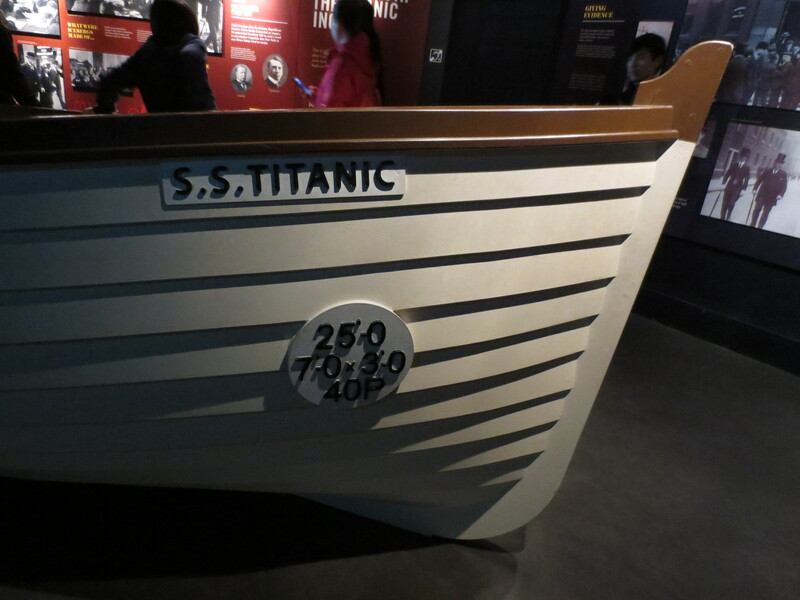 A day out at Titanic is not cheap, with adult tickets over £15 each (for a full price list click here) but kids under 5 are free. I’m glad to be able to report that at the end of the visit we considered the price to be well justified, the exhibits were world class. Rather than bring you on a tour, I’m going to post some loads of photos and let them do most of the talking. The Building itself, inside and out is very impressive. I got nervous when we entered the exhibit halls but they were so interactive, and everything different that the boys were kept busy. 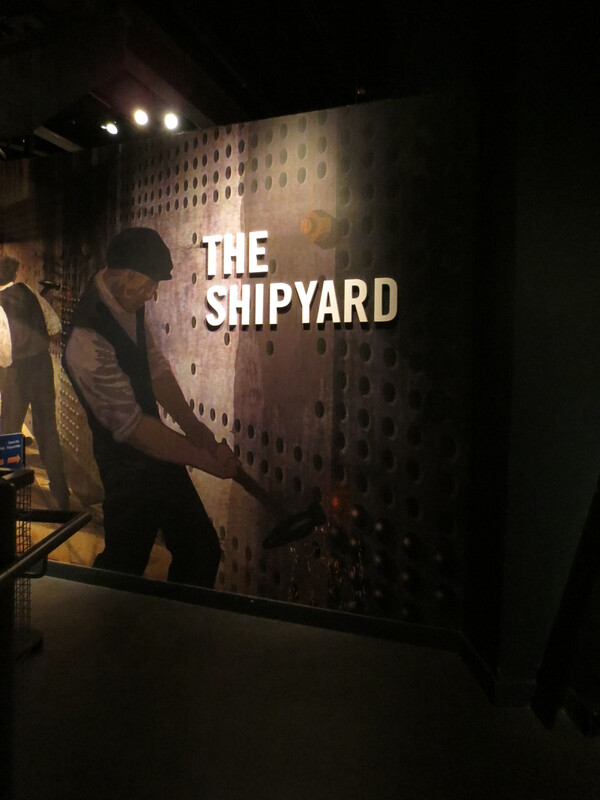 The Shipyard area was very well done, walking through as if you were going through the skeleton of the ship, up in the lift to experience the height that the workers were at, and into an interactive ride which weaves through as if you’re helicoptering around watching how the ship was built. We had baby in the sling so took her out for this part, you could leave your buggy for the ride. It’s suitable for all ages and goes very slowly. Such a great idea, and it gave a really good insight into what it was like to work on the ship. I think that my favourite part was the section devoted to the interiors. 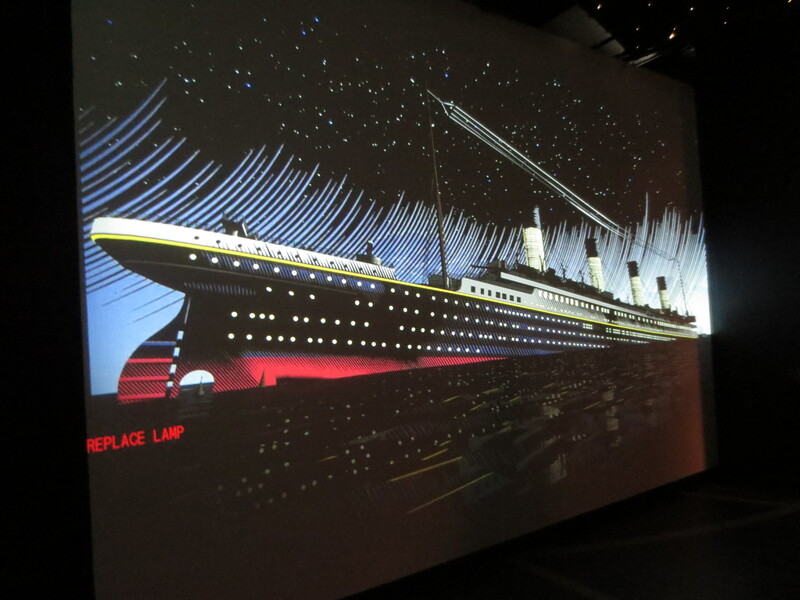 It has mock ups of different cabins (starring more holograms) and a great virtual reality tour where you sit on the floor and tour floor by floor through to the top of the ship, possibly the boys’ favourite part, they sat on the ground mesmerised. 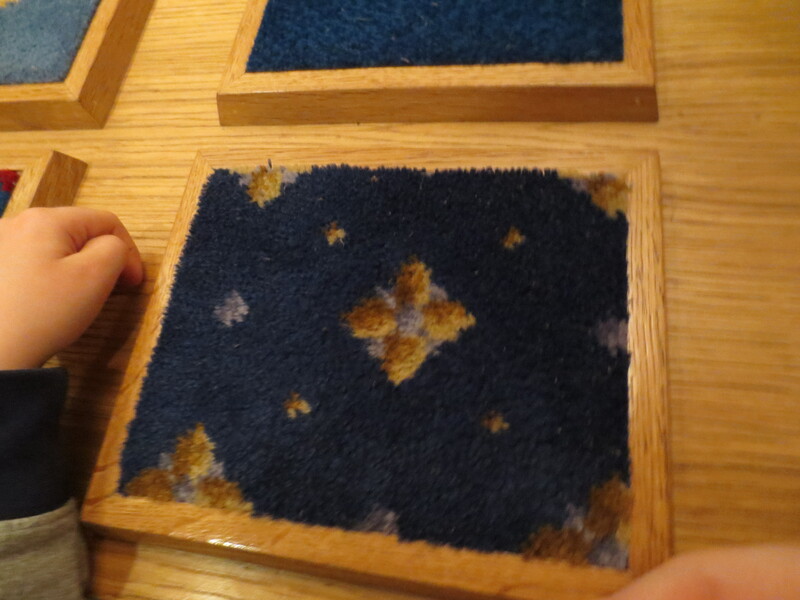 I loved the samples of fabric and carpet, again showing that there’s something for everyone in the exhibition, from the engineer to the fashion designer. After we’d seen the building and the decor and launch we moved on to the inevitable- the sinking. 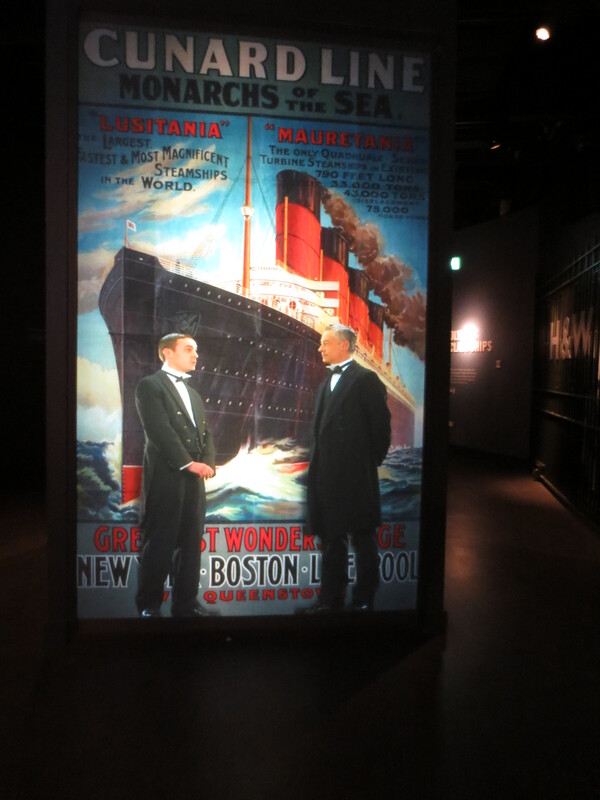 The area dedicated to the sinking has video interviews and accounts, lists of passengers, and best of all lifeboats. The whole area really gave a sense of what the panic was like at the time. After the sinking, there’s what I considered the coolest part- the recessed floor where you can look down into the “sea” and view the wreck. It was amazing, if vertigo inducing. It was slightly hypnotic, and poignant too. I’ve no photo as it didn’t capture well on “film”. You may have gathered from all the above, but just to be clear: we LOVED Titanic. It’s the best tourist attraction of this type that we have been to, anywhere in the world. 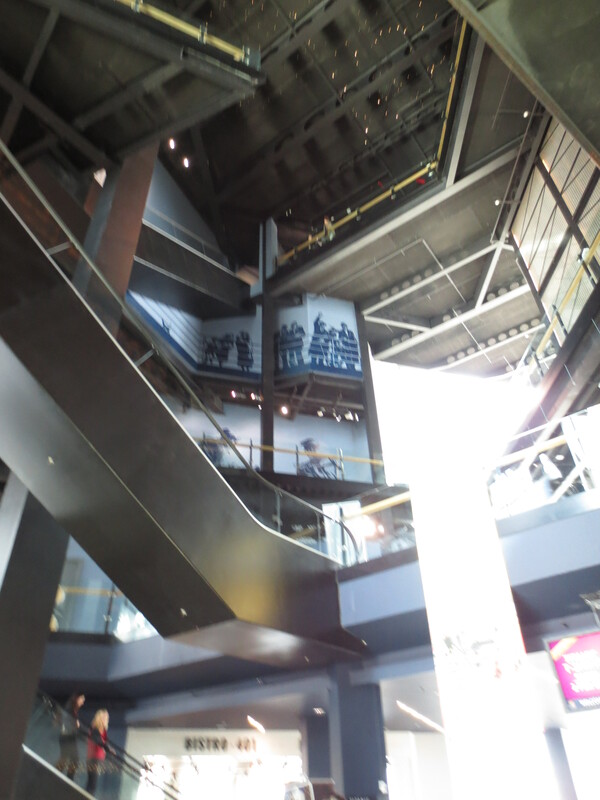 It was interesting on so many levels, history, engineering, fashions, popular culture. There was so much interaction from the exhibits, I felt that I was exploring and discovering more than I have for years. It engaged us all from the three year old up. It’s expensive, but well worth the money and the drive. 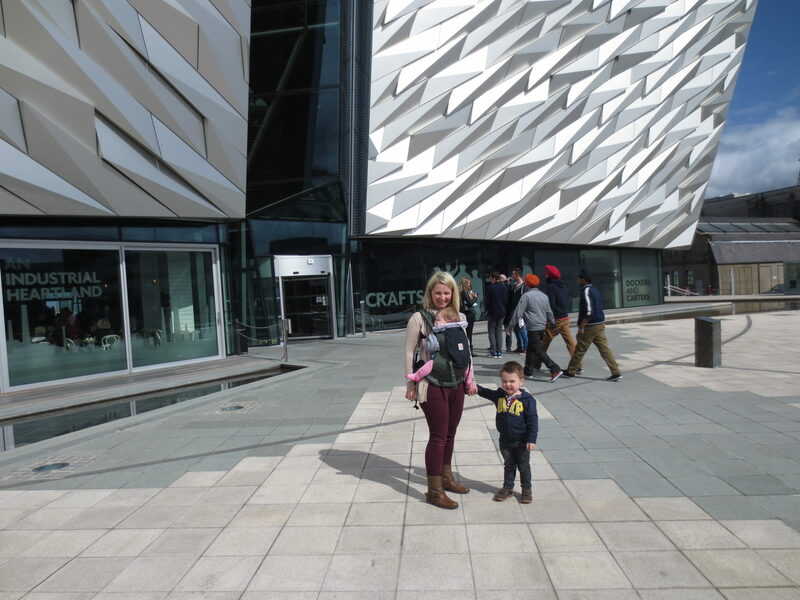 Titanic Belfast comes highly recommended by Bumbles of Rice. REVIEWS: We paid for our own tickets to Titanic and weren’t asked to do a review, but we loved it so much we wanted to share. 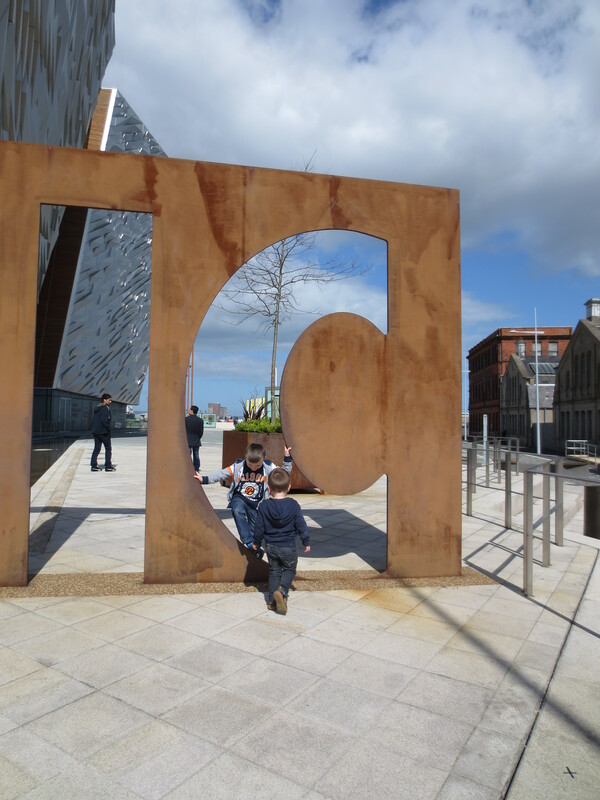 Belfast, days out, things to do in Belfast with kids, titanic belfast. Bookmark. Watch what you say in front of the kids. Please. oh you’ve convinced me – will definitely give it a go! Sounds great. I think I need to add to my list of things to do! Since it looks like we will be staycationing this year, this may well be on our list! Thanks! I’d love to do this… and so glad to hear you give it the thumbs up! Hoping to go to east Donegal this summer, and will definitely check it out, sounds FAB! I would recommend The Premier Inn Titanic Quarter if you want to stay overnight.Its good for a family stay, fairly quiet at night time and in a beautiful location beside the marina, and the food is good there too. Try the open top red tour bus, my 5 yr old was fascinated, we had to do it twice. Thanks Caroline, that all sounds great. I keep meaning to bring the boys on one of those buses in Dublin too. Thanks for sharing. Fabulous post! 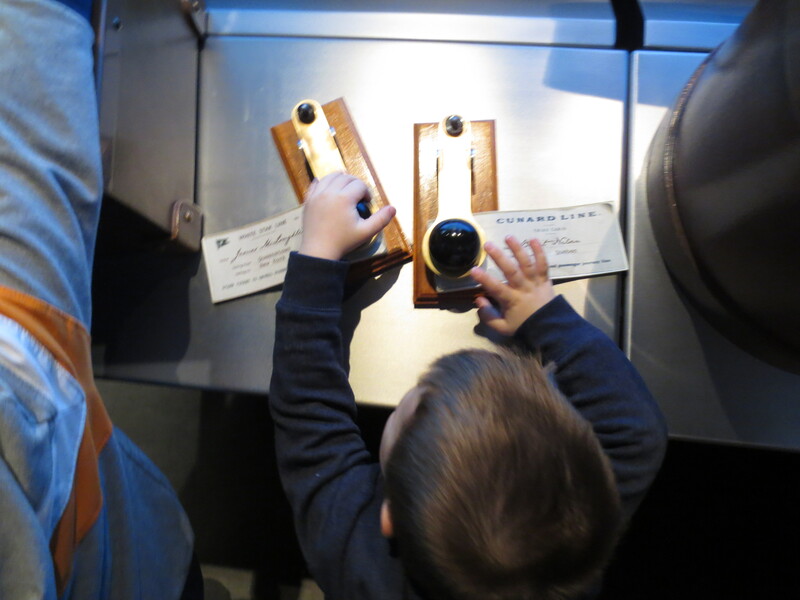 I actually thought having kids along would have made my visit to the Titanic Museum more fun. So glad to see it worked that way for you! Thank you! 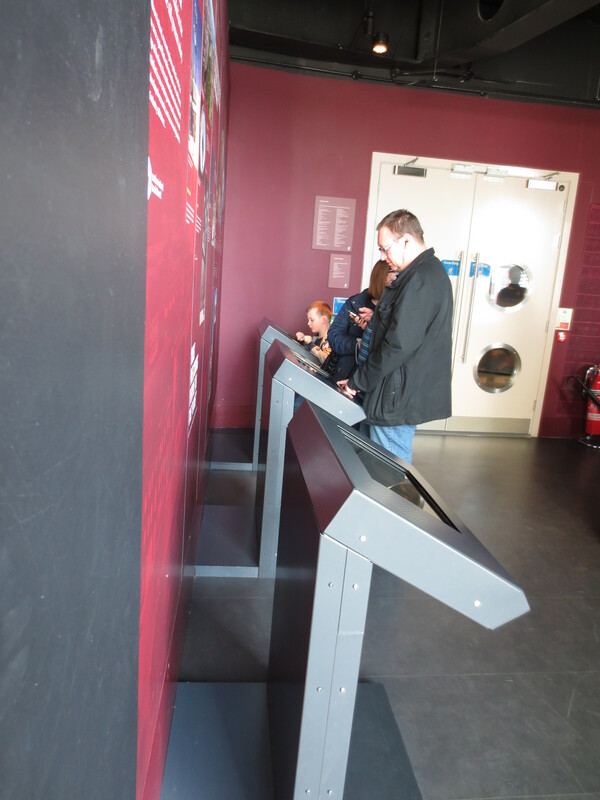 It’d certainly be a different visit if I actually got to read all the exhibits, but the kids found it great fun. 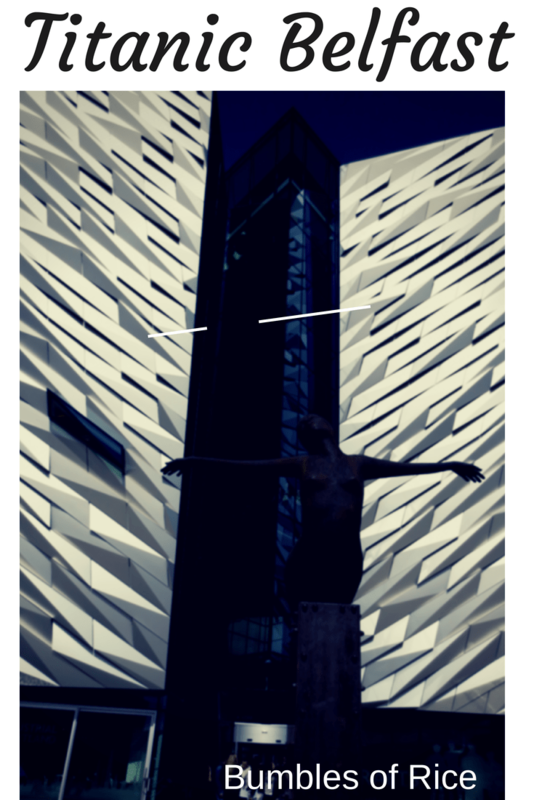 We also loved our visit to the Titanic Belfast! We spent four hours exploring!